Soils with a pH level that is higher than 7 are said to be "alkaline." Such soils are suitable for growing plants that thrive in a "sweet" soil, as opposed to a "sour" or acid soil. If soil pH needs to be raised (that is, the ground is not alkaline enough), apply garden lime. If, on the other hand, your soil has too much alkalinity, you can lower the pH by applying a fertilizer that has sulfur / ammonium-N in it (you may see "Ammonium sulfate" on the label). Do not be scared by the chemistry lingo: when you are at the garden center, just look for a fertilizer intended for acid-loving plants (it will have the ingredients that you're seeking). Fortunately, just as there are plants that like acidic soils, which give you planting options on sour ground (when you can't -- or do not want to -- raise the soil pH), so there are plants that like alkaline soil (or, at least, do not mind growing in it). Observe, however, that even plants within the same genus can "disagree" over what kind of ground that they like to grow in. Take the magnificent lady slipper orchid (Cypripedium), for example. There are many types. Some like their ground sweet, others like it sour, and still others prefer a soil pH that is somewhere in between. But generally speaking, the following types of plants are good choices to grow in alkaline soils. Some annuals can also be grown in an alkaline soil without difficulty, including Calendula, bachelor buttons, and sweet alyssum. Mix some annuals into your perennial flower borders to achieve the landscape color scheme that you are seeking. 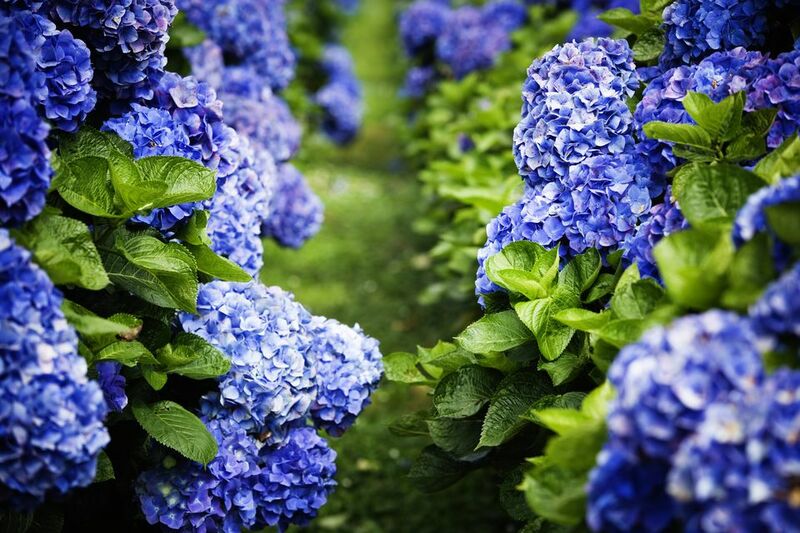 If you are interested in the topic of acidic soil versus alkaline soil, you may also want to read about how to change a hydrangea's color to purple by changing the soil pH.